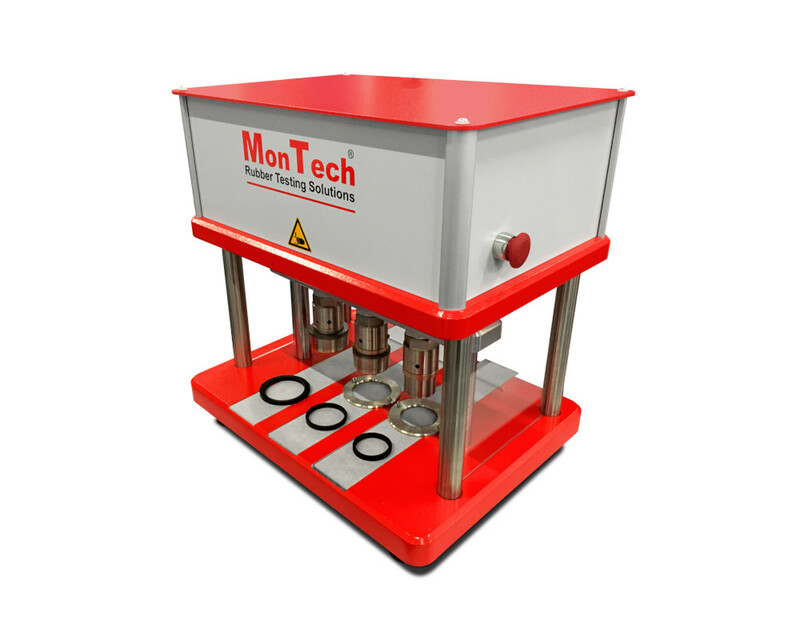 Universal specimen cutter designed specifically for tensile testing rings. 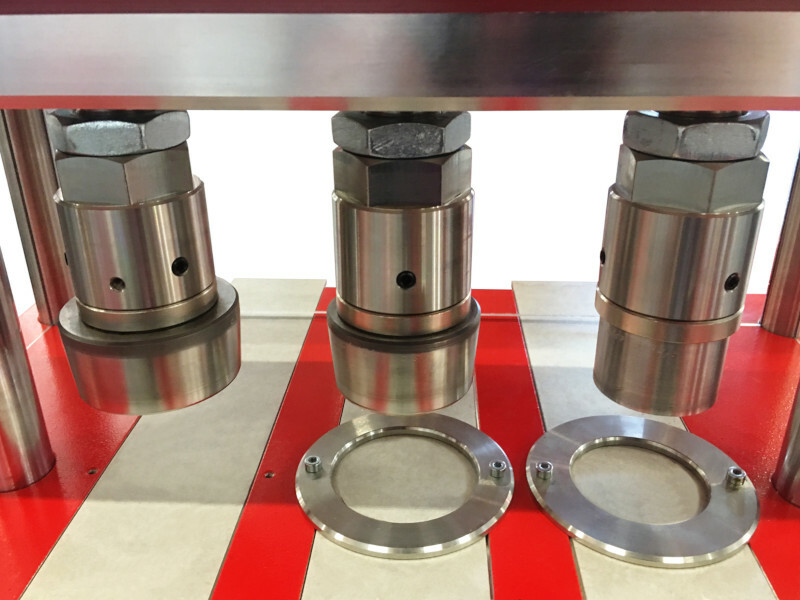 Equipped with 2-hand anti-tie down control and pneumatic operation, the Ring Cutter 3000 precisely cuts tensile testing rings. 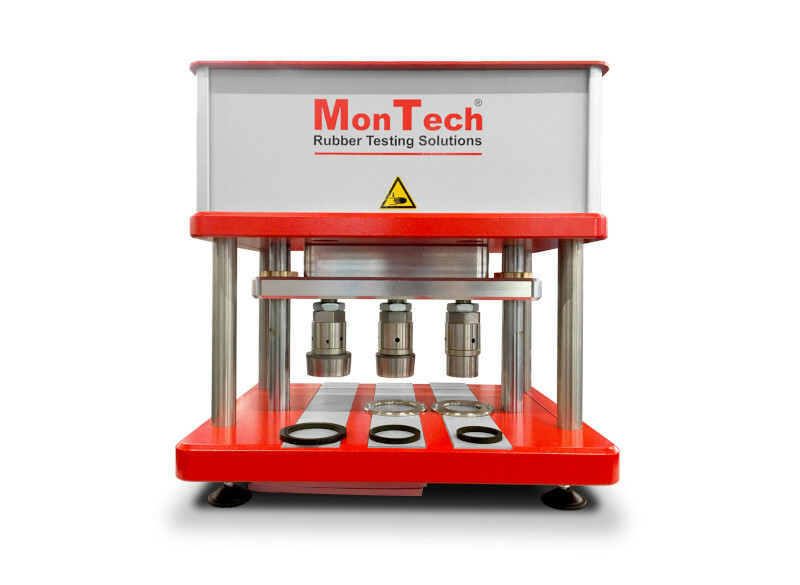 By eliminating electric or hydraulic connections, the cutter can be easily introduced into any laboratory. Additionally, with regulated cutting force the RC 3000 promises more repeatable results and greater die lifespan.